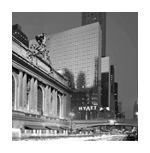 Grand Hyatt at 42nd St (corner of 42nd St & Lexington Ave, NYC, next to Grand Central Station. Rooms are $239.00 per night. For Reservations, call 212-883-1234 and tell them you are coming to the FEST to get the reduced rates. The rates are subject to hotel review at any time, so we strongly suggest to call now if you know you are coming. CLICK HERE to book your room online for our 2018 Chicago FEST! This will be our 33rd consecutive year of the Hyatt Regency O’Hare. The hotel, located just outside O’Hare Airport, is perfect for us. It’s spacious, accommodating, and has lots of room for jamming around the hotel. Rates are only $160.00 per night and they provide free shuttles to and from O’Hare. If you’d like to book your room over the phone, please call 1-888-421-1442 and tell them you’re coming to the Fest! If you plan to fly in for the FEST, you should fly into O’Hare Airport. They have Free Shuttles to and from the airport. American Airlines is our airlines of choice and we have arranged a 5% discount off the lowest published prices. 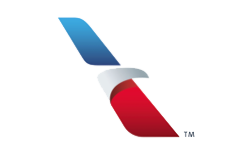 Book your flights online at www.aa.com. Use code 3488BU to receive the discount. Or Call 1-833-433-1790.